More than 100 families affected by Tropical Cyclone Gita have a reason to smile. Yesterday, the Adventist Development and Relief Agency (A.D.R.A.) Samoa in partnership with the Rotary Club distributed food products and emergency kits to help these families rebuild their homes and get their lives back on track. 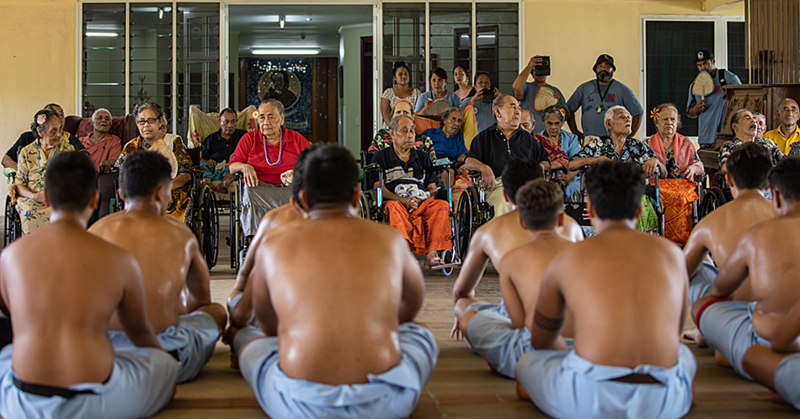 According to the Managing Director of A.D.R.A, Su’a Julia Wallwork, having partnerships strengthens their work in A.D.R.A. “Rotary Club heard of the work that we do, so they called up and asked to partner with us,” she told the Samoa Observer. “They asked if we needed help with our distribution and we welcomed the partnership. She said Rotary Club provided emergency kits. 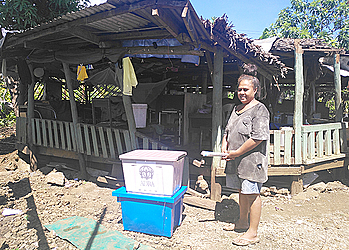 “These emergency kits, which include tarpaulins, blankets, machetes, nails and much more will help families rebuild everything that they use and need for the house,” said Su’a. “The families that our teams went out to today (yesterday) were the list from the Disaster Management Office, they gave us the list and like all disaster that A.D.R.A. responds to, we aligned ourselves from D.M.O. and their assessment. “Today (yesterday) we divided our teams together with the Rotary Club into three teams. She said her staff would be heading to Savai’i next week Tuesday for the same purpose. President of the Rotary Club, Louise Main said they were happy to partner with A.D.R.A. “We are extremely happy to be here,” she said. “We tend to forget that there is Red Cross out there as well as A.D.R.A. and other organisations that are doing the same work that we are doing, so it makes sense that we join in partnership and help out where we can. “We weren’t sure whether we have food and a supply that was needed but Rotary is always ready to move during disasters, such as emergency kits that we have brought today (yesterday). “I saw the list that D.M.O. gave you, you have a big load we were only given 10 families and we’ve done that in one day. 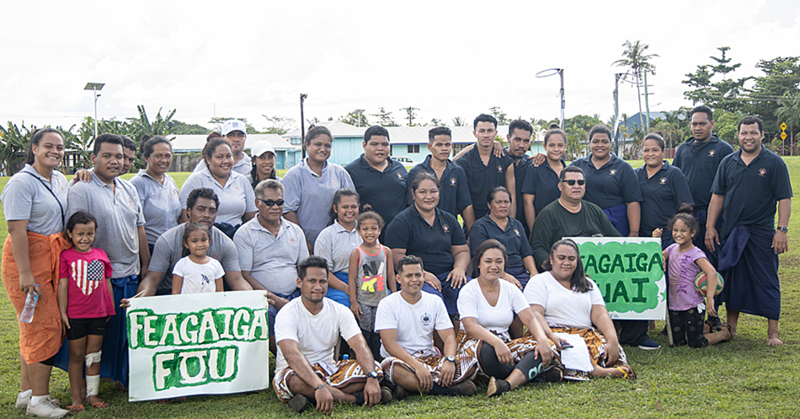 The family of Sene and Afioga at Moamoa Uta were thankful to both organisations for their help. Sene and Afioga, unemployed, have 13 children and they get money from begging. This was according to their 17-year-old daughter, May Sene. An official from the A.D.R.A. told the Samoa Observer that last week Friday this couple walked from Moamoa to Lalovaea seeking help for some food to feed their children. They were given a box of canned fish as well as a bag of rice. Kalele Soonalote and Sia’e Ropati Soonalote of Vaitele Fou were in tears when they were visited by Rotary and A.D.R.A. “Thank you so much for this blessing,” Kalele said. “Thank you to the Government for answering our request and also your organisations for these products; this will truly help our family in the next month. “My husband is the only one who works. He is a carpenter and he only gets to come home on Saturdays. Ilaisa Uili’s family at Leone was one the families badly affected by the flooding. “As you can see our plantation and our pig sty is completely destroyed,” said Ilaisa’s daughter, Otilia Uili. Leiataualesa Tunu’s family was also a recipient. This family’s home was destroyed because a breadfruit tree fell on the house during the cyclone. 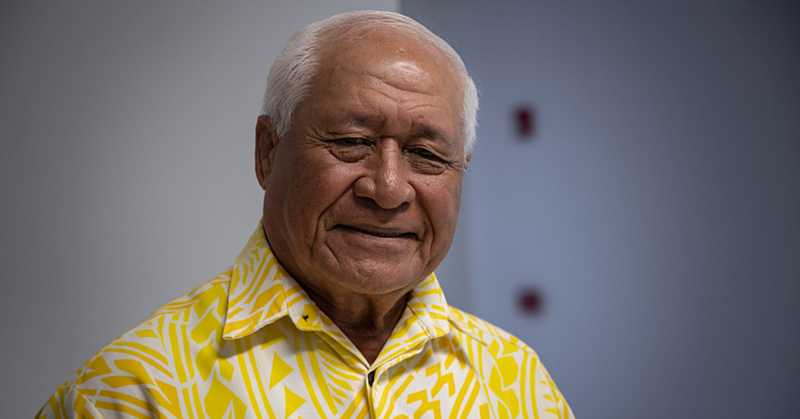 According to Fa’atuvale Leiataualesa Tunu, her father requested for assistance. “As you can see, the other side of our house is gone because of the cyclone,” she said. “It’s not safe for my kids so we are looking for some help so that we can fix our home again.